Historical pride and environmental consciousness provides us with a State with clean air, sparkling water, and beauty. Vermonter's are sticklers about Vermont's beautiful landscape with quaint farms, forested hills and mountains. In 1968, Vermonters banned billboards! Vermonters don't want to leave their State, and those who have left, want to return. Always in control, Vermont refuses to decay and insist on integrity from its citizens. Vermont is a great place for buying a rental property. Slate, granite and marble dominate the landscape with heritage farms with fertile soil dominate the mountain and valley landscape. Sprinkled over the state are profitable enterprises including maple syrup, marble, slate, and granite products, artwork of all kinds, computer chips, Green Mountain Coffee, DR Power Equipment, such as the "Vermont Teddy Bear" and an occasional Celebrity like Alan Alda. If you are thinking about buying an investment property, buying a rental property, or buying cheap rental properties, it's all there for you in Vermont. There's plenty of investment property to buy: farms, land, apartment buildings, almost anything you can think of. Vermont Tourism is huge. 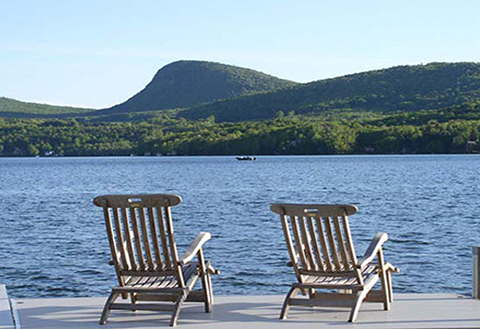 Situated near mega-populated Massachusetts and New York City, it is a nearby place for local out-of-state vacationers to unwind from their busy lives. Each year visitors provide around one billion dollars in revenue. The shrinking of the middle class in the U.S. has resulted in fewer home purchases and an increase in demand for rental property. Chittenden, Vermont is showing growth in the rental market, which is good news for those interested in buying a rental property. The State economy is showing a promising uptick for the future. Now is the time to watch for opportunities in buying cheap rental properties in Vermont to take advantage of great rates for rental home blanket loans. Vermonters are tough people and will not allow their precious State suffer from disappointing statistics. They’ve adjusted to market conditions in many creative ways and many are surviving prosperously. Care has been taken over the years to keep Vermont pristine, and it is paying off in many ways, from increased opportunities in tourism, to many more ex-patriots wanting to return. There is a bright future for Vermont. Keep an eye on Vermont. It is a gem in the rough. As a rapidly growing force in the income property lending arena, and backed by billions in commercial funding Rental Home Financing is currently offering aggressive LTVs,low mortgage rates and speedy approval times for residential blanket mortgage loans and apartment buildings.